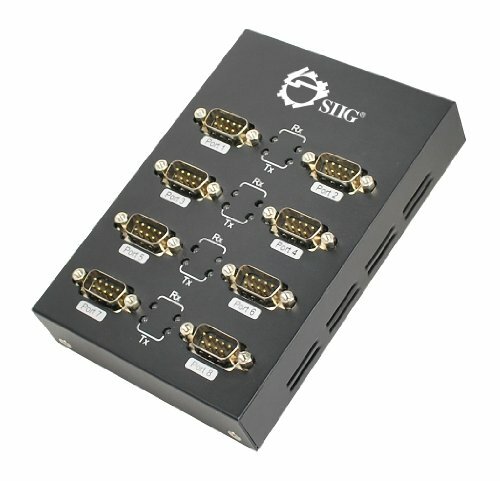 SIIG s 8-Port USB to RS-232 Serial Adapter Hub is designed to enable you to connect additional RS232 serial devices to your USB-enabled desktop or notebook computer. It instantly adds eight additional RS232 (9-pin) serial ports to your computer via an available USB port. It supports serial port data transfer rate up to 230Kb/s, and is powered by the USB bus, no external power adapter is needed. With support for USB plug-n-play, installation is quick and easy, simply plug this serial adapter hub into via any available USB port and instantly add 4 additional serial ports to your computer. 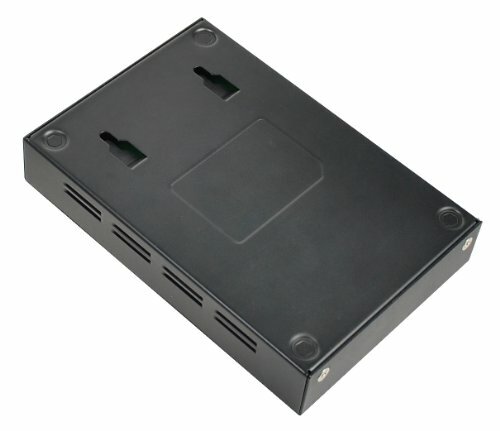 It is the perfect solution for connecting additional RS232 serial devices such as modems, digital cameras, ISDN terminal adapters, graphics tablets, PDAs, bar code scanners, label printers and more. 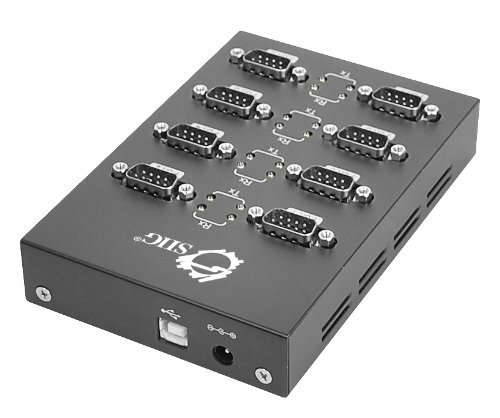 The 8-Port USB to RS-232 Serial Adapter Hub is FCC and CE approved and RoHS compliant. It is compatible with a wide variety of Windows operating systems and is backed by SIIG s limited 5-year warranty.